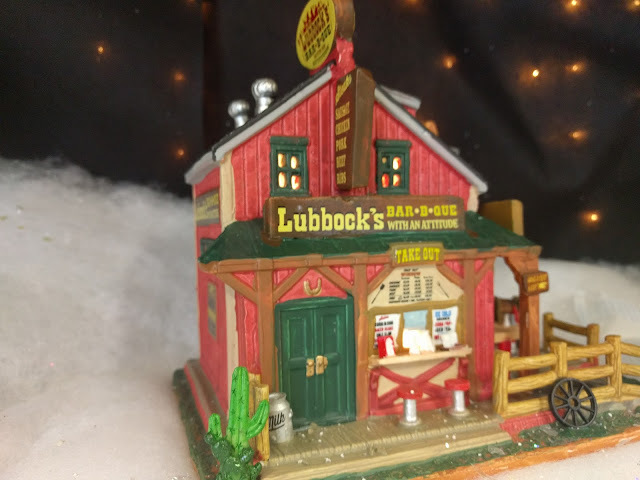 Next up in the parade of Lemax Christmas Village structures is this Lubbock's Bar-B-Que With An Attitude from the Harvest Crossing collection. It came out in 2015, but I don't believe that Menards carried it last year. Here's the official product page on Lemax's site. 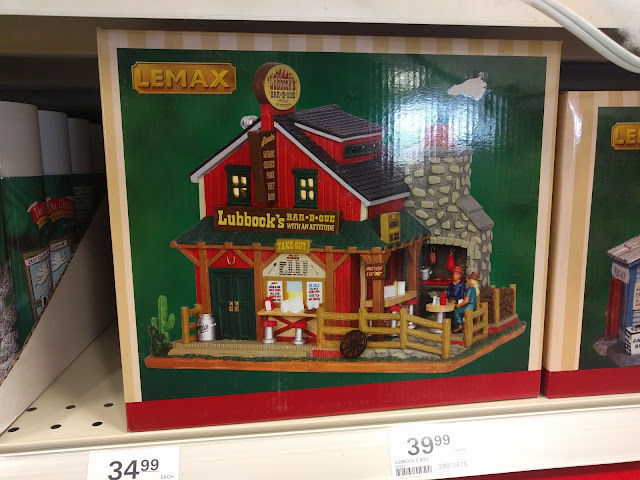 Menards is selling it for $39.99 (see photo below), but I don't think that the town of Mantleburg is quite ready for a rowdy Bar-B-Que joint. I mean...they just got their first tavern in town back in 2012, right? For those looking to keep up with all things Mantleburg, you can check out the tag page here.